(Blog post by Hyshyama Hamin, Programme Office, Making All Voices Count) The concept of pitching competitions and incubation is not at all new in the tech and innovation space, where individuals, groups and organizations have pitched ideas for start-ups, apps and prototypes, gone on to work with incubators and/or win investor funds and market their products locally and to the world. So what happens when you apply this to a typically donor-grantee development and governance project which has largely been a process whereby applicants respond to an open call via a lengthy project proposal? Making All Voices Count is seeking to answer just that question by merging the two formerly disparate processes, more recently in Peshawar, Pakistan. Peshawar the capital city of the Khyber Pakhtunkhwa (KP) province, is situated very close to the Pakistan-Afghanistan border and is the economic and political hub of the Federally Administered Tribal Areas of Pakistan. 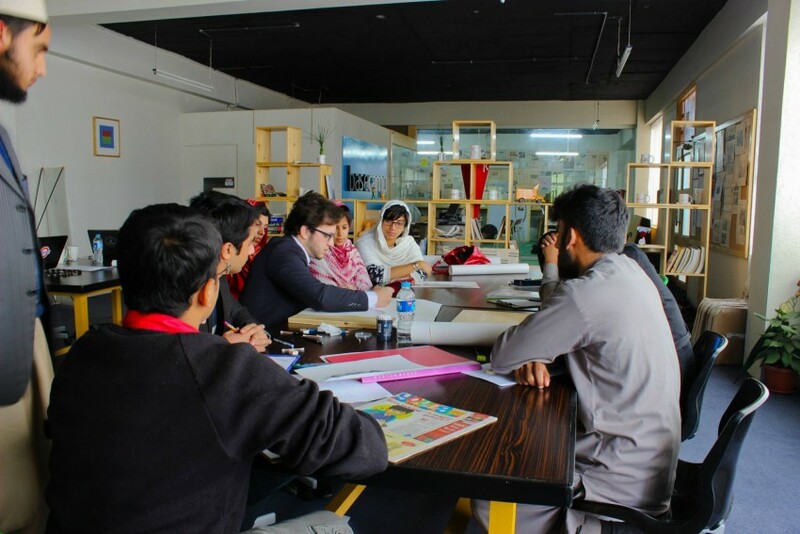 It is also increasingly gaining presence and prominence as being at the 'helm of digital change', thanks to efforts of local initiatives like Peshawar 2.0 - a grassroots initiative run by a group of dedicated young people, seeking to turn Peshawar into a city of technology, art and design. The team has managed to create 'basecamp', a co-working space in the city that also doubles as an incubation program and learning space, where regular learning camps and classes such as nxtgen are held for young men and women to attend. The passion and commitment of the team behind Peshawar 2.0 is really witness to what the tech and innovation space looks like in Pakistan, a growing movement of youth seeking to take charge of and transform Pakistan’s development, economic and socio-political processes. This inspiring work has resulted in strong partnership with local government and international agencies as well. Technology for citizen’s advocacy, activism and digital security. We received and reviewed a total of 54 ideas of which 8 finalist teams made a final pitch at Digital Youth Summit to a panel of jurists including Jehan Ara founder of Nest I/O and P@sha, Faisal Chohan Senior Ted Fellow and founder of BrightSyre and Coglient Solutions and Ali Khan, a Code for Pakistan fellow. Pitched ideas addressed governance challenges such as evaluating police systems, creating and tracking an online database of laws and working with local government in making Peshawar an accessible city for persons with disabilities, among others. Hamara Internet’, implemented by the Digital Rights Foundation working on digital security and for rights advocacy of women and girls in Pakistan, online and offline, a timely initiative given the controversial cybercrimes bill currently being debated. TrackReps - a mobile and web-based platform for citizens to track progress and performance of elected representatives in KP Province, a first of its kind in Pakistan. These teams will receive up to 3 months of incubation support with Making All Voices Count including mentoring, networking with relevant initiatives, tools and resources - to prepare them for an innovation grant of up to 40,000 British pounds. What is clear from pitching competitions such as these is that they are a successful way of reaching out to and attracting people from the tech and innovation space, who may have bright implementable ideas on addressing governance challenges, but may not necessarily engage in typical grant making processes. The pitching sessions themselves are more of a conversation between ideators and experienced persons from government and other sectors who offer feedback and dive deeper into questions that can work towards further developing the idea. Forums such as the Digital Youth Summit also offer an insight into the tech and innovation ecosystem in a country like Pakistan and a window into the efforts of Pakistan youth to work through challenging context and to really take charge of issues that matter to them and their communities. What is also commendable and encouraging is the interest and willingness of government agencies such as KP IT Board and Government of KP in fostering such efforts and providing much needed government support. It is both timely and important for programmes such as Making All Voices Count to support initiatives such as these in Pakistan through engaging in spaces where exciting change is happening.